In the past couple of weeks, I have been able to see the preliminary work for my major project begin to come together through the work my classroom students and tech team have produced along with the conversations we are having! I’ve now figured out and solved the problem of being able to get everyone access to WeVideo in the correct way. As I’ve mentioned before, my project took on a bit of a twofold approach. I have been focusing on and talking about both media literacy and digital citizenship with my grade 2 class and my tech team but the focus for each has been a little different. With the tech team, we are focusing on media literacy through the use of GAFE and now WeVideo. With my grade 2 class, we are focusing on understanding Digital Citizenship through Seesaw. 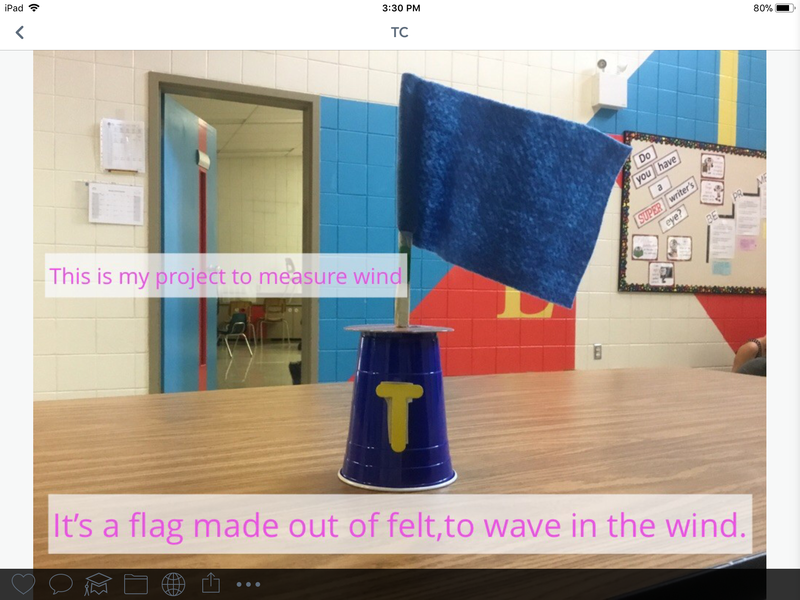 This past week my grade 2 students and I had an opportunity to check out the new activities feature with Seesaw. My class had been working on a Social/ELA project where they interviewed an adult in their life about what it was like for them to live as a child. We talked about differences between now and then as a comparison and to build an understanding of community differences. The students created a poster and then presented that poster to the class. 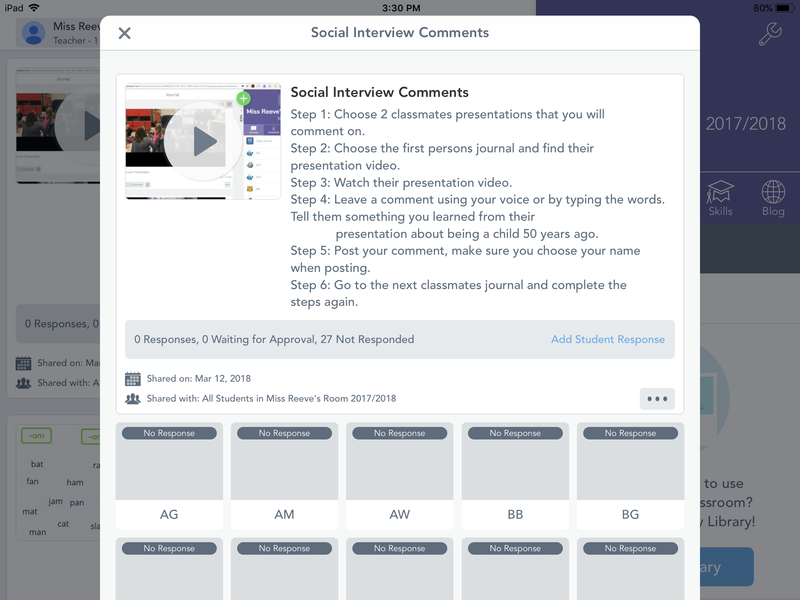 I recorded those presentations on Seesaw with the plan of using those presentation videos as an opportunity to integrate a lesson on digital citizenship into social studies. It really can fit anywhere! To set up the activity I created a video, using Screencastify, describing and modelling the expectations along with actually putting the activity on Seesaw. I really liked that I could create the Seesaw activity on the weekend and wait to post it on the day of the activity. Here is a picture of the activity I posted on each students journal along with the video. What I realized today while putting this post together was that in part, I misunderstood the activity feature. I did not teach the students to go to the activities tab and add their responses there. However, I did like having the activities tab as a place for them to go and check on what they were expected to do. We also went over it together before they began their commenting. We will try another activity using the student responses portion! Their responses to classmates presentations really were fantastic and I feel like many of them are beginning to understand their role as digital citizens! I appreciate that their comments are on topic and supportive. Some perhaps missed the mark a little on talking about what they learned (this is a conversation we will have next week) but they stayed true to our conversation around making sure to use the THINK model before posting! As part of our conversation around digital citizenship in grade 2 we have also been talking about how the way we represent our thoughts is important. When we are posting something to explain what we know it is important to include as much information as you can. This month in science we have been talking about air and how it moves. Throughout the week students created a plan for how they could use our classroom STEM corner to create a tool that would measure wind. Check out a couple of their posts after they had created and tested their tool. These are two completely different creations and two different approaches to using their words to share understanding! 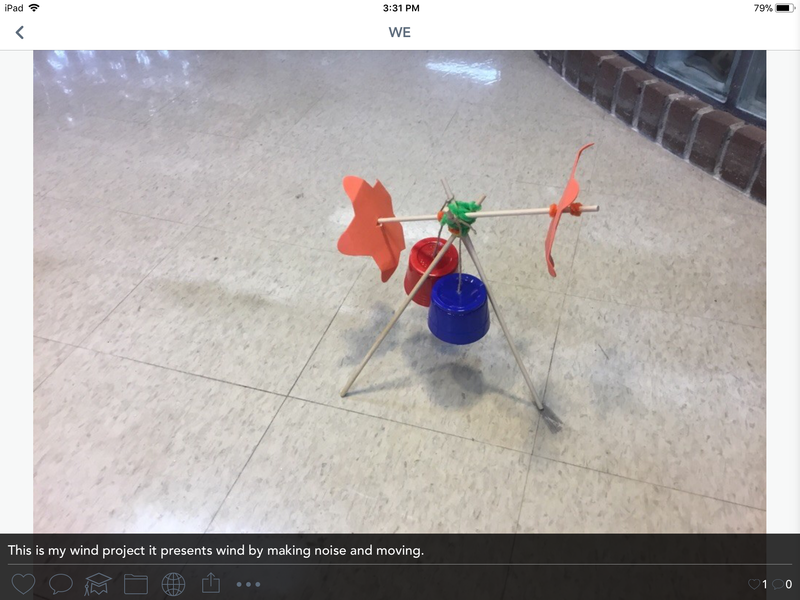 This entry was posted in #connectedschools, #digitalliteracy, #gradstudies, #screencastify, #seesaw, #wevideo, Community, digcit, EC&I 832, EC&I 832 Major Project, eci832, edtech, Education, learning on March 17, 2018 by Nicole Reeve.